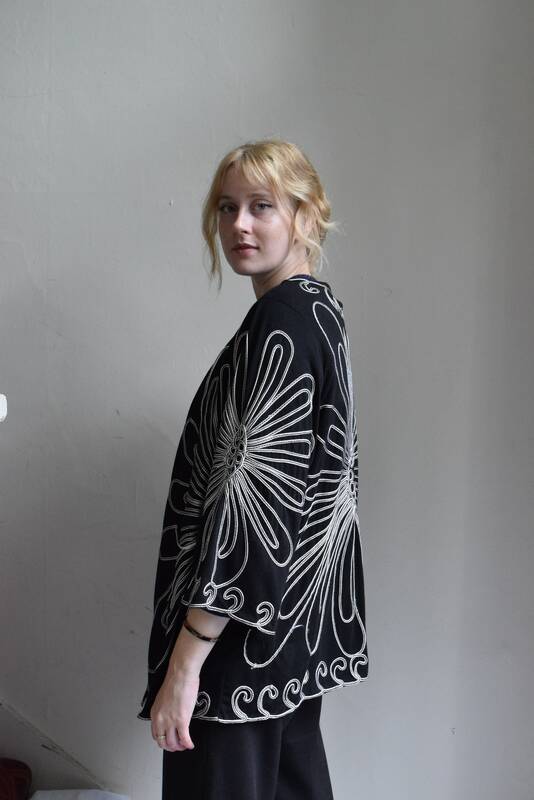 Black kimono with applique design. Mid-length sleeves, lightweight fabric with a bit of stretch. Shoulders 21" || Sleeve length 19" || Bust 40" || Hip 50" || Length from back of neck 31"